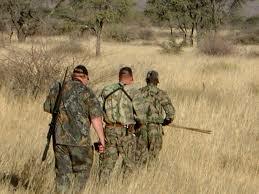 America’s Hunters and National Security? A friend of mine sent this information to me last year, so I don’t know the original source, but it is interesting enough for me to share with you. Now, before you go any further, please understand that; I am not advocating anyone going out and buying a gun, and I am definitely not advocating any kind of gun controls. I am just sharing this with you, my readers as a tiny little reason why any nation that thinks they can invade our country with impunity will always have second thoughts. Would such a ridiculous thing ever happen? Probably not, right? Look at the Russian/Ukraine situation, my friends, and then think again! There were over 600,000 hunters this season in the state of Wisconsin .. These men, deployed to the woods of a single American state, Wisconsin, to hunt with firearms, and NO ONE WAS KILLED. That number pales in comparison to the 750,000 who hunted the woods of Pennsylvania and Michigan ‘s 700,000 hunters, ALL OF WHOM HAVE RETURNED HOME SAFELY. Toss in a Quarter Million Hunters in West Virginia and it literally establishes the fact that the hunters of those four states alone would comprise the largest army in the world. If this is not enough, add the total number of hunters in the other 46 states and you have literally millions of armed Hunters in America. S,o what is the point? America will forever be safe from foreign invasion with this kind of home-grown firepower! Hunting… it’s not just a way to fill the freezer. In reality, whether you like it or not, Hunters are a specific and unique part of our national security. And that’s why all of our enemies, foreign and domestic, want to see us disarmed. Food for thought, when next we consider gun control, whether you agree with it or not. What army of even 1 or 2 million would want to face 30 million, 40 million, or 50 million armed citizens??? So, from the perspective of preserving our freedom in the future, do we really want to allow tighter gun control laws or especially the confiscation of guns? Previous PostPrevious Mardi Gras in Rubonia? Where the Heck is Rubonia anyway?